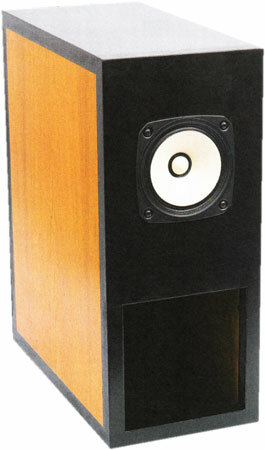 Mikro-Horn 2015 is a bookshelf speaker with Fostex fullrange loudspeaker FE 126 EN. It has been developed by Bernd Timmermanns. The crossover consists of a LRC notch filter wired in series. The wave trap reduces the level between 0.3 and 6 kHz.